On July 29th, between 10am and 1pm, we are having an NDHC Olympics for the juniors end of season party. It will be run in the form of a sports day with various “olympic events” for the young dragons to participate in. As always, these events take a lot of organising and I’m hoping some of you lovely adult Dragons will be able to offer up 3 hours of your time to come and lend a hand on the day to make sure it all runs smoothly. If you are able to help in anyway on the day please email me amelia.dawson@hotmail.com ASAP so i can see what I’m working with. Final reminder for the Norwich Dragons Hockey Club AGM of 2012. Venue: The Walter Roy Theatre, Hewett School, Norwich. Access to the Theatre is via the Main Entrance Doors (under the elephant) and turn right to the Theatre. Agenda: Please send any proposed agenda items to info@norwichdragonshc.co.ukby Sunday May 27th at 6pm. Vacancies: There are a few Committee vacancies that need to be filled We do have some interest in these roles, however, please take a look at this list and consider whether it could be you, helping out your club this coming season by filling one of the vacancies. Committee members are expected to meet on a monthly basis to discuss various matters relating to the running of the Club. Again, please reply to this email by Sunday May 27th, if you are willing to stand. If you are unable to attend the meeting please send apologies to info@norwichdragonshc.co.uk. We hope to see as many of you there as possible, we are sure Goals will be happy to see some of us in the bar afterwards! u16 v Mens 3s & u8s TournamentThis weekend sees the last events of this season for the Young Dragons. Dragons’ under sixteen boys (with a couple if adults) take on the men’s third team. At the Den, 14.30 start. The prize: a bottle of non alcoholic fizzy grape juice. After the success of the under ten and under twelve tournament in March, Dragons are holding an under 8 tournament. This will be held this coming Sunday, at the Den, between 10.00 and 12.00. The first tournament of its kind sees 5 teams entering the tournament; two Dragons’ teams, two Norwich City teams and a team from Bury St Edmunds. The teams are mixed, six a side and without a keeper. Light balls will be used and a restricted zone within the D which defenders are not allowed in. This is also the deadline day for handing over any remaining Sainsburys vouchers to me (Sue Cullum). If you’ve got any vouchers floating around, stuck to the fridge with a magnet, in the bottom of your bag etc Sunday is your final opportunity to hand them over. Feel free to come along and watch on either day, both would be fantastic. It would be great to have as many of you there as possible supporting the future of our Club. Thursday 31st May – NDHC Annual General Meeting from 7pm at the Hewett School, details in the coming weeks. Tuesdays April – June – Ladies Summer 7s at Taverham. The Dragons Greens and Dragons Reds are competing against other Norfolk League teams, the Girls Development Team play a one off tournament next Tuesday 15th May. Mondays May – August – Ladies Vets and Men’s Vets games on a monthly basis. Next fixtures 14th May for Ladies and 21st May for Men. Tuesdays & Wednesdays commencing 22nd May – Dragons Mixed Summer League at the Den. The Dragons have 3 teams entered to compete against UEA, Wymondham College, Norwich Cityx2, Dereham, Watton, Holt and Bury. We are waiting to hear if Magpies, Gorleston and Norfolk Police will be entering a team. NDHC Teams are being organised by Crossy and Tash. Thursday 12th July – Pre Season Fitness commences. Full details to follow, however current plans are 7.30pm on the grass near the Den. Fitness is for Men, Ladies, Boys and Girls – all fitness levels catered for, even a very unfit President! A small fee will be charged for each session to cover costs. 27th July – 12th August – Olympic Hockey House – NDHC having been selected as one of 35 Official Hockey Houses will be screening GB Olympic Matches and hosting events on the pitch around those matches. Week commencing Monday 6th August – Adult Team skills training will commence, full details to follow. Sunday 2nd September – NDHC Club Day for Adult and Development Teams An opportunity for everyone playing in the Adult and Development teams to play some hockey, plus an opportunity for Captains to start to consider their squads for the new season. Membership forms will be handed out, along with fixture booklets and the Ladies New Shirts will be ready to purchase. East League Season starts 15th September for Ladies 1s and 2s and all Men’s sides. Norfolk Ladies league season dates will be advised after the Norfolk AGM. More details will follow in due course on each of the above, however we are keen to give people as much notice as possible, so PLEASE note them in your diaries now and if you would like to get involved in any of the specific matches, please get in touch. Some of our more recent events have been captured on camera and can be seen at http://www.norwichdragonshc.co.uk/content/flickr-gallery/(the ipad users amongst you won’t see it as requires flash player). Another extremely successful UEA v Dragons Tournament was hosted at the UEA last Sunday 6th April. Many thanks to James Colley, John Butler, Ali Smyth and Angela Murgatroyd for umpiring the matches for us and also to the captains, helpers and supporters on the day. Thanks, as ever, to the UEA Players for making it such an enjoyable event played in the spirit intended, we hope all Dragons that took part had a good time. It was also great to welcome some new members to the Club namely Laura, Tammy, Sophie, Olivia, Jon and Barney, as well as Boys Development lads Alec, Eddie and Ben playing in the Men’s sides. Sainsburys: Stopped issuing their vouchers on April 10th. They have an order deadline of June 5th. However I will have to impose a deadline date for handing in Sainsburys vouchers of Sunday May 27th to allow time for the vouchers to be handed in, counted, forms completed, collection arranged etc. Please can you hand over any Sainsburys vouchers as soon as possible as they have stopped being issued. Tesco: Are still offering vouchers until Sunday 20th May and their order deadline is July 6th so plenty of time yet. Again, to allow time to count them, complete more forms, arrange another collection the deadline for handing in Tesco vouchers will be Wednesday June 27th. The Norfolk Women’s League are discussing how best to structure the Norfolk Divisions next season given that they have 39 teams entered. Clubs will discuss and vote at the AGM in May. As announced at the Awards Night, Norwich Dragons Hockey Club has purchased 7 pairs of tickets to the preliminary round of the Hockey at the Olympics,from England Hockey, to provide members with a chance to win the right to purchase two tickets costing £40 a pair. The International Olympic rules prevent anyone making money from the tickets and the Club is therefore offering the chance for members to enter a free draw to win the right to buy the Olympic tickets at face value. Tickets are for the evening session (19.00 – 22.45) on Monday 6th August 2012, the match schedule will not be finally confirmed until May 2012 after all the teams have qualified. To register for the draw you must send an email to info@norwichdragonshc.co.uk with your name, postal address, contact email address and contact telephone number or post those details to Mike to arrive by Friday 4 May 2012. You will receive a confirmation email. Thanks to all of you that attended Friday night’s Awards Night to support the Club, I hope you had a great time and all recovered now! Feedback has been nothing but positive, which is great to hear. That figure was doubled on Saturday when I opened the post to find my latest Grant application for £500 had been successful, so just over £1,000 goes into the bank to give a much needed boost as we build funds for our future. Dragons v UEA: Sunday 6th May 2012As current holders of the annually contested UEA-Dragons Trophy, we have the opportunity to defend our title on Sunday 6th May 2012. Those of you that have played in previous years will know that this event is arranged between the Clubs to encourage those leaving the UEA and staying in the area, to consider joining us. We also use the event to introduce any new players that have approached us to join the Club next season. It is therefore played in a friendly spirit whilst still being competitve (there’s a trophy to win!). The format of the event is two ladies’ teams (one of East Lge level and one of Norfolk Lge level), two men’s teams (one of 1s/2s level and one of 2s/3s level) and a mixed gender team. Further details below. If you would to be involved in playing some hockey, please reply to this email by 6pm on Sunday 22nd April so that the captains can then organise their teams. Please note places are limited, so get in early!! Volunteers for umpiring would also be appreciated, please reply by the same deadline if you can help. Meet at the UEA pitches at 12pm. Teas and Presentation in Bar. Halves of 25 minutes each way. If it is a draw, flicks alternating between males and females. Dragons providing sweet teas and plates etc and the all important winners bottle of cheap bubbly. UEA providing savoury teas. Men and Women – red shirts and green socks. To be provided by both Clubs, one each per match. We are pleased to announce that our last efforts raised a nice sum of £270 towards club funds. Thanks to everyone for their donations. Summer Hockey for Young Dragons Under 8s: 10.00 to 11.00, Sundays 22/4, 29/4, 13/5, 20/5. Watton minis tournament: Entry for all u10 & u12 boys & girls. Sunday 27th May at the Dragons Den. Likely to be 6 a-side, mixed with no keeper for school years 2 and 3. More details soon. Queries to Nat_Beal@hotmail.com. We are still operating a waiting list for some age groups. Please email Nat_Beal@hotmail.combefore attending sessions to check and discuss. Broadland Hockey Club are once again holding their Summer 7s tournament. The league will run on Tuesday nights at Taverham High School with games starting at 7pm on April 17th. Teams are 7 aside and each team will need to provide an umpire. There will be a small fee per person per week to help cover the entrance cost. This year they will be running 2 ladies leagues as it being opened up to players eligible to play in East League 2NE (Dragons Ladies 2s). The 1st league is aimed at teams playing in East Division 2NE and Norfolk Premier. The 2nd league is aimed at Norfolk Divisions 1 & 2. In the interest of fairness they have asked that we have separate squads for each team, with only goalkeepers allowed to play for multiple teams. If you are interested in participating and/or can help organise a team please reply to this email preferably by March 11th. Apologies for the short notice but I have only recently received the details myself and entry forms need to be sent back by March 14th so we need a rough idea of numbers to know how many teams to enter. DATE – Friday 20th April 2012 (from 7pm – midnight). TICKETS – Thanks to Sam Clark, we have secured a great price of £20 per person – this includes a 3 course meal with coffee / mints, room hire, DJ and licensed bar until midnight. Tickets go on sale from Monday 5th March until Friday 6th April and numbers are limited, so first come first served. They will be available via your Team Captains – to be fair to all, tickets will not be handed over until FULL payment is received (cash or cheques payable to NDHC). FOOD – 3 course meal with coffee and mints – up to 3 different meal choices (plus vegetarian). Meal choices MUST be made when purchasing tickets. MENU ATTACHED. TABLES – When purchasing you ticket, please indicate which table you would prefer to sit on (ie. Ladies 1s, 2s, 3s or 4s or Men’s 1s, 2s, or 3s), we will do our best to accommodate this, however no guarantees! PARKING – There is ample parking at the Hotel, cars can be left overnight (at owners risk), but MUST be picked up by 11am on the Saturday. All Adult Team Players are invited to attend, however for our Under 18 players, there will be a few Club ‘Ground Rules’ put in place, see below. The venue will comfortably hold up to 120 people (although we are able to accommodate slightly more people if necessary); tickets will be sold on a first come first served basis. Please come along and feel free to bring your partners with you. All votes to be sent to info@norwichdragonshc.co.ukalong with the reason you feel that person should get the vote. A reminder about this, will be sent nearer the end of the season. RAFFLE & AUCTION – As usual we will be holding a raffle and small auction to boost all important Club funds, please be prepared to bring along a raffle prize (or donate one if you can’t make the event)…..more details to follow. Both Sainsbury and Tesco are once again running their voucher schemes. Sainsburys Active Kids has already started, with Tesco launching their scheme on 12th March. Norwich Dragons participated in 2011 and were hugely successful collecting a total of approx 9,000 vouchers. Let’s aim to beat that amount this time round….If we all make a concerted effort we can build up a collection of vouchers and hopefully use these to acquire new equipment for the club. Last years vouchers went towards hockey sticks, ladders, first aid kits, hurdles and lots more. Please spread the word and ask all your friends and family if they can donate any vouchers too. When offered please do accept the vouchers and hand them to your captain or Sue Cullum. **NDHC Annual Awards night Friday 20th April**Full details to follow shortly, but please note date in your diaries. Matches postponed 11/02/2012 so far…. We are still to hear about the Mens 3s v North Walsham. All training sessions have been cancelled for the rest of the week due to a frozen pitch, this includes Dev boys and men on Thursday (9th Feb) and Fridays session (10th Feb) for the Dev girls and Ladies 4s. We will make another assessment with regards to Saturdays matches nearer the time. Due to the adverse weather conditions Ladies training (7th Feb) has been cancelled. An inspection took place at Dragons’ Den this morning and the pitch has been passed as playable. Click here to read an article which appeared in the EDP on Jan 30th regarding the assistance Norwich Dragons received from a Sports Relief grant. See individual teams pages for more details. Coaching & Umpiring Courses 2012England Hockey and the Norfolk Hockey Umpiring Association run a number of courses during the year for budding coaches and umpires. The Club will be seeking grants to help with the funding for any Club Member wishing to attend these courses in 2012 and we can generally secure 50% of the course fee on successful completion, provided you commit to using the qualification towards Club coaching or umpiring. Places are likely to fill up quickly, so if you are interested and able to make the dates of a particular course, please step forward asap. Level One Coaching Award – cost £160. Candidates will also be required to complete the online ‘safeguarding and protecting young people in hockey course’ prior to attending the course. The cost of this is £9.18, which is additional to the course fee. The Level Two Coaching Award cost is £405 and is only suitable for those with experience of coaching hockey. Level 1 Umpiring Course â€“ this course provides you with the skills and knowledge to umpire the lower Divisions initially. Please contact Crossy (ac@plummers.co.uk) if interested. Watton, provisionally Jan 9 &12th 2012 cost £35, candidates must attend both sessions. Lynn Sport, Sunday Jan 22nd 2012 cost £35. Last night saw the inaugural NDHC Race Night at the Dragons’ Den, the Club’s first fundraiser of the season. Many thanks to all of you who attended the evening and contributed both financially and by helping make a fantastic race atmosphere at the Den, with great fun had by all! Also thanks to each of you who contributed before the evening, either by buying horses, donating prizes or buying Tricast Squares. Club funds have been considerably boosted thanks to everyone’s generosity! Prizes are on their way to you! Also the winner of the Tricast was Alice McCabe. Particular mention must go to Rich & Louise Davis, who seemed to be wearing their ‘lucky’ jodhpurs for the evening…..despite post-race drug tests and checking for over-use of the whip, the stewards couldn’t find a way of preventing them walking off with a car boot full of prizes from both the auctioned races. Their prizes included a valuable antique dog and the priceless stuffed horse hoof, as lasting momentoes of their success at the Course. Special thanks, for all her efforts in making the evening a huge success, go to Claire Baker alias Taff ( & Jo ). Also thanks to Ed Smith for his great compering of the night and auctioneering! To all the staff at Goals and to Jimmi for the fantastic buffet! Final thanks to Gail & Hannah, for so professionally emptying everyone’s wallets and purses on the night! Last Season’s Most Improved Ladies Player represents Club and wins Medal ! Ladies Masters started with the Over 45s Regional Tournament back in 2006. All 5 Regions entered and East came 5th. 5 years on…..this was the inaugural regional event for the Over 50s age-group and time for the East to show how they have improved! Our very own Hazel Medler was selected for the East team. The final squad of 14 players included a (slightly) under-age GK and 3 ‘guests’ from the North, who could not raise their own team. Hazel was the only player from Norfolk. Other counties represented in the team were Cambs, Herts, Kent and Yorkshire. The tournament was held at Cannock Hockey Club, using both water-based astros, on the weekend of 13/14th August. Medals were awarded to the winners and runners-up. South won (as expected) and East came a fantastic second. England Hockey 2012 – Are we ready? The England Hockey Board is embarking on a programme of talks to tell the hockey nation about its exciting plans for the Olympic year.They are inviting anyone to join them at one of ten venues across the country to hear about plans for a major participation programme before, during and after the Games, a series of public hockey experience events, Great Britain Olympic athlete ambassadorial visits, Hockey House supporter venues, ticketing and much, much more. Norwich Dragons growing youth section took another positive step by entering two U12 teams in the Mini-Hockey Tournament at Taverham. Both teams worked very hard and with enthusiasm, and a special mention for Max Laming (Red Dragons) and Archie Simpson (Green Dragons) who volunteered to play in goal. Thanks to David, Pat, Bridget and Amelia for managing the teams. Read the report on the Young Dragons page. Last week we saw over 80 Young Dragons attend our coaching sessions at the Dragons’ Den, which is fantastic and all part of our plan to grow hockey in Norwich. Without our volunteer coaches we would not be able to bring hockey to all these youngsters, so we are always keen to increase our coaching pool, to ensure we do not over-stretch our current coaches.To become a qualified coaching assistant, you would need to take England Hockey’s Level 1 Assistant Coach Award. I passed it, so it really can’t be too difficult, and it was fun! The next course is being run at Sudbury over three days on Sunday 6 Nov (12pm – 4pm), Sunday 13 Nov (10am – 5pm) and Sunday 27 Nov (10am – 5pm). The cost is £155, but if you agree to commit to coach a significant number of Club Coaching sessions, then the Club will cover the costs. Please let Mike know, either via info@norwichdragonshc.co.uk if you would be interested. We have experienced a massive influx of the u8/u10 and u12 age groups! So much so that we are going to have to freeze membership for the next couple of weeks to take stock of numbers in each age group. We will take note of your interest – please send details to nat_beal@hotmail.com with your child’s name, date of birth and school year. Apologies if this is disappointing for you, but we need to have a maximum to reflect child to coach ratio and also to enable us to deliver quality sessions. Please be patient and we will be in touch. Click on the ‘Teams’ button to view the 2011/12 fixtures for all 7 Adult and 3 Development Teams. Our Club Day is to be held on Saturday September 3rd at The Dragons’ Den. As well as being a sociable event, the day helps captains and coaches see players in matches ahead of team selection for the upcoming season. All are welcome and encouraged to attend for the whole day. Some items of kit are also hoped to be on sale, details will follow nearer the time. Read the article here and see what Richard Alexander has to say about our new pitch. After the shooting and picnic, awards were handed out. Player of the year (for performance on the pitch, voted for by the Titans) was awarded to Will Ives. Most improved player of the year (voted for by Natalie and Mick) was awarded to Ben Harvey. Club member of the year (a great asset to the club, voted for by the Titans) was awarded to Andy Webb. Thanks to Amelia for her efforts in organising the event. A great day was had by all. Sunday 26th June – Official Opening Day of the TCH Dragons’ Den. Thursday 7th July – Pre Season Fitness commences. Full details to follow, however current plans are 7.30pm at the Hewett School. Fitness is for Men, Ladies, Boys and Girls – all fitness levels catered for, even a very unfit President! A small fee will be charged for each session to cover costs. Week commencing Monday 1st August – Adult skills training will commence. Again full details to follow, Ladies will be on a Tuesday evenings and Men on a Wednesday or Thursday evenings; both tbc. Saturday 3rd September – NDHC Club Day An opportunity for everyone (Adult and Young Dragons) to play some hockey, plus an opportunity for Captains to start to consider their squads for the new season. In addition, membership forms will be handed out, along with fixture booklets. More details will follow in due course on each of the above, however PLEASE note them in your diaries now, as we are keen to get as many of you ready for the new season as possible. Another successful UEA v Norwich Dragons HC saw Norwich Dragons take the trophy at the third time of trying. Some great hockey was seen in all matches and the friendly atmosphere was a credit to both Clubs. Due to a lack of available UEA Ladies, Watton HC kindly entered a team to help out and they took on the Norwich Dragons HC 1s/2s combined team. Dragons came away 4-1 winners. At the same time the Men’s 1s/2s played their game against an Upper UEA Team which resulted in a 3-1 defeat. Results were reversed in the following two games with the Ladies 2s/3s losing 2-0 to the UEA team whilst the Men’s 2s/3s won their game 3-1. So it was all down to the last match. With no NDHC keepers available for the Mixed game, UEA generously gave up their keeper too and the match was played with 11 outfield players on each side. Motivated by the fact that a draw would result in penalty flicks, which would be tricky with no keeper, Dragons push forward at every opportunity and came away with a 9-3 victory and the overall win. The trophy and cheap bubbly were presented by UEA Organiser Lewis Wilkins to the victorious Dragons Captains of Danny Knights and Hans Roney. Thanks to Natalie Beal and Lewis for organising prior to the event and to all the captains, players and umpires that helped make the event such a success! After 3 years away, Norwich Dragons Hockey Club are now back in the City. However with the planning permission for our new pitch came some requirements we need to fulfill. One particularly important one was travel to the pitch. We all now have to think about how we get to the new pitch for games and training in order to minimise any impact on the traffic around Norwich. Please consider car sharing or alternative modes of transport, ie walking, cycling or using public transport. See the ‘Club’ page for further details. ‘Norwich hockey set for major boost’. Click here to see the article published in the Evening News on June 6th 2011 about our new pitch. Annual Dragons v UEA Tournament. When? Sunday 12th June from Midday. Where? UEA Sportspark. Teas in the UEA bar. Mixed ability mixed game at the end. We have 2 pitches hired out so there will be 2 games at once. We will split the effort for providing teas with UEA. Watch this space for more detail. It is meant to be a social so please hang around for the day if you can, and also please come to the teas afterwards. There will be a small fee of £4 or the day, with u18s £2. The contacts as above will then liaise with each other and you to sort the teams for the day. This summers mixed hockey begins again on Tuesday May 10th. Please click here to download the first batch of fixtures. Teams need to ensure they provide their own umpires. Teams should contain 5 outfield ladies, If you are short of ladies please let your opposition know that you may be playing extra men. The fee is still £35 per game. Monies will be due direct to Andrew Cross. The Norwich Dragons Under 12 Boys took part in the final Junior tournament of the seasonat Pelicans ona hot sunny afternoon. As there were only 3 other competing teams: Pelicans,Watton and Norwich City the matches would be played over two halves of 10 minutes the longest matchesthe players have everplayed. James Hansell was making his debut in the team though he is only 10 and to ensure a full team Laura Hansell and her friend Beth who had only played her first ever tournament in the morning for the Girls team agreed to represent the team to allow a squad of eight. The first match was against Pelicans and the teams were evenly matched with strong dribbling from the centre of midfield from Mark and link up play with Connor when Dragons attacked. The defence of Andy and Laura was containing Pelicans attacks and if they were breached Sam was stopping shots. In the latter stages of the first half surprisingly the deadlock was broken by Pelicans and Dragons suffered another blow when a miss-hit Pelicans pass flew up and hit Kareem on the forearm causing him to have to be withdrawn. The second half saw Dragons try to push for an equaliser but despite great efforts this could not be achieved so a harsh 1-0 defeat was suffered. The second match saw the team come up against a strong Watton team who had made an agreement with the organisers to play an over-age player but in actual effect played the first half with two over-age players (despite having anage qualifiedsub)and another two who had development league experience. Showing great bravery and tenacity as we have seen in previous tournaments Kareem took his place in the team despite a bruise on his forearm from the previous match and also took ona new position for himself in defence. The team went behind straight from the start and the strong Watton team scored three more goals before half-time despite good play from Sam in goal. Beth was also working hard to get in good positions playing wide in midfield. In the second half with Watton only playing one over-age player a more even match resulted and Dragons scored a goal when James showed great commitment to chase down a pass that Mark had pushed down the wing and win the ball and pass it inside the D for Connor to shoot past the keeper. Watton scored two more goals to win 6-1 but the team had done very well against their more experienced opponents. The final match saw the team play Norwich City with Connor not able to play. The team were also handicapped as Sam was carrying an injury but he bravely carried on despite being in pain and discomfort. The team worked hard with good play by the defenders and the team mounting several attacks and winning short corners which were not able to be converted into goals .Norwich managed to take advantage of Sam’s problems and got a rather flattering 6-0 victory. The Dragons player of the tournament voted for by players and coaches was James Hansell narrowly beating captain Mark. All should be proud of their performance on a hot day with long matches against some adversity! Many thanks to the parents for their support and for bringing the boys. Thanks to Nat and Amelia and Davidfor coaching and motivating the team on the dayand also their persuasive powers. This has been a successful season for the team with several victories and goals scoredand also great improvements in team and individual play seen with the boys finding a new goalkeeper in Samand the other boys also taking on new positions and roles in the team. We wish the boys moving up to the Development team next season success in their continued advancement with Norwich Dragons. We look forward to working with the boys who will remain in the under 12 team and the new players who will join them next season. The under 12 Girls Dragons Team took the trip to King’s Lynn on Saturday 16th April for their last tournament of the year. In fact, for all of them, it was their last under 12 tournament – next season the girls will be taking the next step in their hockey careers and playing Development League hockey. Due to last minute drop outs, the girls were going to have to go to the tournament with only 6 and hopefully borrow a seventh player. That was until Laura’s efforts in phoning around her friends found Beth who had never played hockey before but was willing to give it a go! So the team was Katie (captain), Holly, Laura, Hattie, Harriet, Jess and Beth. Harriet and Jess were making their debut for the club. Beth was making her debut with a hockey stick! The tournament did not start ideally – 6 of the team got lost leaving Katie ready and raring to go and play all the positions by herself! The parents took wrong turnings and turned up just in time to join Katie on the pitch for the first game against Watton. Hattie did not have time to get her keeper kit on so Ray arranged for Norwich City’s keeper to help out. Hattiedid makeit onto the pitch to show off her skills outfield however! Despite the lack of warm up, Dragons won their first game 1-0 – a great goal from a broken down short corner, scored by Harriet. Then the girls had a bit of a warm up! The next game was against Pelicans B team. It was a very even match, but Pelicans scored about half way through. Dragons were determined and the skills they practiced in the warm up showed as they created chances. Jess had a great shot saved on the line by a defender’s foot, resulting in a penalty stroke. Up stepped Holly to take it, but on this occasion she was not able to score. The game ended with an unlucky one nil defeat. Next came Dereham As. The Dragons were nervous playing against an A team, but played ever so well. There was some awesome defending by the whole team as well as great saves by Harriet in goal. Holly worked ever so hard in midfield (the sugar high she was determined to get from all the Haribo started to show). Beth was growing in confidence all the time! The game ended in a nil nil draw – a great result agains the team that eventually came second in the tournament. Then Norwich City As. The team again were nervous playing against City. But they had no reason to be. It was another pretty even game, with Dragons having chances. Some great work between the midfield trio of Jess, Holly and Harriet put pressure on City. A draw would have been the fairest result, but it was not to be as City scored after a foot in the D by the goal scorer went un-noticed. The last game of the tournament saw Dragons face Pelicans As. Yet another close fought match with both teams having their chances. Some great defending by Katie and Laura kept Dragons in it. Some great passing in the midfield, supported by Beth up front, meant Dragons had their chances. But it was a break by Pelicans that saw them score a goal, agonisingly just that little bit too far away from Hattie in goal to get to. Pelicans As went on to win the tournament. Dragons came 4th out of 5 – a good result for their last tournament. Our junior teams should be very proud of what they have achieved over the last three seasons. Thanks to Amelia and Ray for their coaching. Thanks to the parents for their support. The new pitch will be very near completion by this date so we will be taking the opportunity of a little tour around our new home and you will have the chance to buy a drink in the bar at Goals afterwards! Items for the agenda should be submitted to the secretary by email (caroline@uv6.com) by May 17th at the latest. If you are unable to attend please send apologies to caroline@uv6.com. A list of any Committee vacancies will be circulated soon, along with further venue details. We are now so close to being able to play back in the City and I can’t wait to see the Dragons flying around the pitch. Check out our website homepage to see the new layout, showing where Pitch No 1 will be in relation to the Goals Site. Pitch No 2 has planning permission, but no funding as yet. Last night £265 was raised thanks to the generosity of those who donated raffle prizes and bought tickets for the raffle and took part in the baby-spotting competition. There were some very cute babies and toddlers amongst the Committee Members, what on earth went wrong!! Thanks to Nat, Sue and Izzie for organising those events. Our TV Celebrity Auctioneer Ed Smith of ‘Cash in the Attic’ and ‘Bargain Hunt’ fame, encouraged bidding for a Norwich City Football Club shirt signed by the first team squad, which was very kindly donated by Kate Atkins. Ed’s great work squeezed bids up from the opening £50 to the final winning bid of £165! Tickets for the night were priced to breakeven, however the raffle and auction resulted in a total boost to Club Funds for the night of £430. My thanks also go to Ed for announcing the Awards and congratulations to all those nominated and particularly the winners, the full list is shown below. For those of you not playing in the Ladies Summer 7s (at Taverham) or Summer Mixed League (at Loddon), enjoy your break from hockey, but keep an eye out for events at our new home during the Summer, and I hope to see you at the AGM which is to take place on Tuesday 24 May at 7pm at the Hewett School. 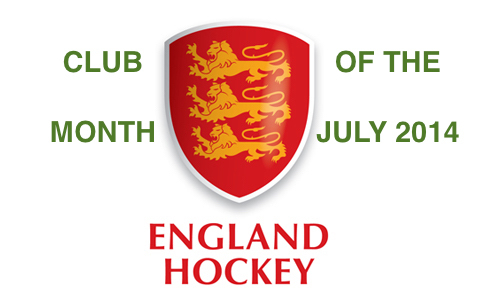 Norwich Dragons Hockey Club ï¿½ Nominations and Winners. Dereham Hockey Club have again secured the services of Simon Mason, the ex-England and GB goalkeeper, to run a full day’s coaching for keepers that will be grouped by experience and ability on Sunday 4th September 2011. Last year’s event received very good feedback as keepers were grouped by experience/ability and we will do the same this year. Click here for an application form or herefor a poster containing further details. U12 TournamentsThroughout the 2010/11 season the U12 Girls and Boys teams have played in numerous tournaments around the county. Please see the Youth page for all the reports of these tournaments. Below are a couple of photos of our brilliant U12 Girls and Boys teams. Thanks to them and the numerous adults who have helped in organising and supporting. Well done all! Please find below a few details for the Awards Night Friday 8th April at the Oasis – Mirage Suite. Meal Options – Meal options have been passed to the Oasis. A list of your choices will be on each table (incase the alcohol makes you a little forgetful!). Raffle* – Please would you ALL bring along a Raffle Prize – we are keen to raise money for Club Funds at this important time. NCFC Shirt (signed by the current squad) Auction* – Kate Atkins has kindly donated a signed Norwich City Football Club shirt to be auctioned for Club Funds. Given that this could be a memorable season for NCFC, this could become a very valuable item!! Please come along prepared to bid – also please mentioned to friends, family and work colleagues and perhaps bid on their behalf. Cars – Cars can be left at the Oasis overnight if required. Please note however, this is done so at car owners risk. We have approximately 80 attending, so it should be a good night. Once again Broadland are organising their Summer 7s Tournament, held at Taverham. We’ve entered a team for the last couple of years and we’re entering this year too! Games begin on Tuesday April 19th with a finals night early July. We’re awaiting confirmation of the final format but to give you an idea…. – There are normally 2×20 minute games on most, but not every, Tuesday evening. – Games begin at varying times between 19.00 and 21.00. – There will be a small charge per evening of £3pp to cover the entrance cost. – All those eligible to play in the Norfolk League are allowed to participate! If you are interested in playing please contact Lois Metcalfe as soon as possible and let her know your approximate availiability for Tuesday evenings, bearing in mind fixtures aren’t released yet. There will be 4 COACHING ROADSHOWS- in the following areas: Pennine Pumas, Mercia Lynx, Wessex Leopards, Saxon Tigers. One of the Key launch topics will be the Coaching Groups launch information. Performance Director David Faulkner said, Over the past 12 months we have been running 4 High Performance Coaching Clubs, in 4 geographical areas (Bristol, Manchester, Loughborough and Bisham Abbey) These clubs have been providing additional personal development to our High Performance coaches. EHB are looking to further build on their award of National Governing Body of the year for coaching and continually raise the bar in all areas of coaching. The development boys team are down to train this Friday 12th March, 7pm to 8:30pm. However it’s one of those weeks where not all can make it from both Watton and Dragons. We’re not cancelling the session so we might as well use it. If there is anyone out there, either Ladies or Men, who want to come to Loddon for an hours run around in a game to make up numbers please do pop along to Loddon Keepers too! Norwich Dragons Hockey Club is now registered to collect vouchers for both of the new Sainsburys and Tesco schemes. When offered please do accept the vouchers and hand them to your captain or Sue Cullum. If we all make a concerted effort we can build up a collection of vouchers and hopefully we can use these to acquire new equipment for the club. Please spread the word and ask all your friends and family if they can donate as well. FOOD: A 3 course meal with coffee and mints – up to 3 different meal choices (plus vegetarian). Choices need to be made 2 weeks prior to event. Menu attached. The venue will hold up to 120 people, so tickets will be sold on a first come first served basis. Please come along and bring your partners with you. Tickets will go on sale shortly and will be available via your Captains – to be fair to all, tickets will not be handed over until payment received. Please note we need your meal choices for players and partners, when purchasing the tickets. The aim is to get as many there as possible to celebrate the 2010/11 Season and our forthcoming move back into Norwich city centre, given that the new pitch development is now progressing at pace. We hope to have some latest photos of the new pitch / site on display!! As usual we will be holding a raffle to boost all important Club funds – please would you all therefore bring along a prize to donate. Click here to download the November Newsletter from England Hockey (PDF format). In their words it’s a bumper November newsletter packed with London 2012, super sixes and Gold Challenge information. If you wish to receive future editions please see the England Hockey website. Due to the continuing bad weather training tonight (Tuesday 7th December) has been cancelled. This is being held at The Doghouse, Norwich (near St.Andrews Hall) on Friday 10th December, 7.30pm until 1am. Please do come along and bring partners, friends and family to this free event and kick off the festive season! The Norfolk Championships held at the UEA had 4 sections of 4 teams each playing a round-robin. Thanks for the huge efforts by Hazel, Mike and John Bignold and Lakenham both qualified via the Norwich SSP qualifying tournament. Details of which can be found here. The top 2 teams in each section went into 2 groups to play round-robin for the Trophy competition. The bottom 2 teams in each section went into 2 groups to play round-robin for the Shield (plate) competition. The top team in each group went into the respective final. The next collection is scheduled for January 21st 2011. We have the official bags (see your captain) or you can use any bin liners. They will collect any second hand clothing, bedding, curtains, soft toys, shoes, belts and handbags. It’s a great way to recycle items too. Despite the appearance of a rainbow during the Tournament, there was no pot of gold for the Young Dragons, however there were definitely some rays of sunshine for the future!! A lot of effort, teamwork and good spirit saw the Boys take on some very strong opposition from the other Clubs across Norfolk, with several County standard players on show. As a result of Watton withdrawing from the event late on Friday, the Young Dragons had just 6 fixtures, but this did mean that David’s negotiation skills could be used to secure a keeper from all clubs for each of our games. Every keeper was kept very busy and we are extremely grateful to the other Clubs for their support whilst we continue to try to find keepers for our Club (if any of you have friends that might be prepared to play in goal, please please bring them training!!). In most games, we held the opposition at bay for several minutes with battling performances from Marcus, Ollie and Jordan at the back. Given the pressure on the defence, it was great to see the midfield and attack tracking back and helping out in our own D. Pedro in particular worked his socks off getting back into defence to mark players and then sprinting back up front to be available for hit-outs. When we did manage to get the ball out wide, Kareem and Sam put in some great work and at times we managed to keep the ball in the opposition half for reasonable spells. In his first season with the Club, Andy is becoming a very solid central midfielder, keep up the good work! In the last two games (against Dereham and then City), the coaches thought that we were heading for 0-0 draws, only to be undone by some good attacking work from the other teams and a particularly good short corner routine in the last game. Keeping sticks down, facing the ball and clearing the ball out wide are the main things to focus on for next time. For his captaincy and defensive work, Marcus was voted Player of the Tournament. Well done to you all and thanks again to parents for their support and encouragement!! Standing Room only at the King Will Pub on Saturday night saw a great turn out for another Norwich Dragons HC Quiz Night. Quizmaster Chris Millar (pictured) came up with some tricky questions in categories such as ‘Spelling’, ‘History’ and ‘Goalkeeper Rules’. Leaders from the start, and eventual winners, was a team gathered together by Amelia and Lois (see photo). It was great to see so many regular, old and new faces in attendance. The combination of entry fees and raffle ticket sales (thanks to Natalie and David) saw the event raise £275, which we will attempt to double through Match Funding. Given where we are going as a Club, events such as this will be key to raising funds towards the upkeep of the new pitch, please therefore ensure you give your support to future fundraising events. The Young Dragons continue to improve, finishing 5th or 6th out of 10 teams in the Harleston U12 girls’ tournament with 2 wins and 2 draws. The girls showed excellent fighting spirit and played some attractive hockey against the best junior teams in our region. Despite conceding after just a few seconds against Bury, Dragons fought back brilliantly to win their first game 2-1, with Holly Thomsen impressing in midfield and Marcy Windsor-Waite scoring both goals in fine style. Keeper Hattie pulled off a crucial late save to seal Dragons’ winning start. Harleston Magpies B were next up for Dragons, and a tense game between two well-matched teams ended goalless, with Alex Foenander and Laura Hansell solid at the back. Dereham A proved too strong for the young Dragons team, using their size and speed t run out 5-0 winners, though the score could have been worse without some excellent defending from Katie Franks and Holly Thomsen. Dragons were unlucky in their 4th game, conceding an early goal against Norwich City B. They then started to impose themselves on the game, with captain Lotte Stalker breaking well from midfield. Despite some excellent passing and pressure, Dragons were unable to convert and the game ended 1-0. After 4 consecutive games, Dragons took a well-earned breather before playing Dereham B. The game started dangerously for Dragons, with Laura Hansell and Katie Franks making last-ditch tackles to keep the score at 0-0. Dragons then started to move the ball well, and create chances of their own. Issy Walter’s excellent finish from a penalty corner was ruled out before Marcy Windsor Waite capitalised on a defensive mix-up for her 3rd goal of the tournament, sealing a 1-0 victory. A confident Dragons team now faced Watton, but despite dominating possession and winning several penalty corners, they were unable to score. Hattie had to save sharply to deny Watton on the break, and Dragons had to settle for 0-0. Dragons finished the tournament with tough games against Pelicans, eventual winners Norwich City A and runners-up Magpies A. Early goals from all these opponents resulted in 3-0 losses, but Dragons continued to fight well, unlucky not to score against Pelicans and impressing the crowd with a spirited performance in their final game against Norwich City A. Thanks to Steve for managing the Dragons and to the parents for all their support, in the form of hot drinks, snacks and cheering. An excellent tournament was had by Norwich Young Dragons as the under 12 boys had their best performance so far. The sun shone both on and off the pitch, with a great team performance from Jordan, Stanly, Marcus, Sam, Pedro, Ollie, Andy, Kareem and captain Connor, with guest goal-keeping performances from Freddie, Josh and Jake. The day started shakily with defeats to Pelicans A and Norwich G, but the boys gained in confidence and pulled out two 0-0 draws in quick succession against North Walsham and Dereham. This was followed by a well fought battle against Pelicans B. Some fantastic attacking team play lead to a nice link up move, which was finished by captain, Connor, scrambling the ball over the line for the team’s first goal for the club and a 1-1 draw. This was the peak of the boys’ performance, but they continued to play with enthusiasm and determination against stronger opposition in the form of Magpies and Norwich W. The boys all left with smiles on their faces ready for their next tournament. The day was a thorough success for the Young Dragons and the organisation at Taverham. Thanks must also go to the parents on the sideline for their constant supply of positive support, encouragement, sweets and warming drinks! Don’t forget our regular social quiz is happening again this year so please do come along and join in the fun! We will also be holding a raffle so please do bring along a prize! If you can’t attend you can always donate a prize through your captain. The Under 12 girls were in action today at the first under 12 tournament of the season at Taverham. Holly, Marcy, Lotte, Carmel, Katie, Issy and Laura with special guest appearances by Summer from Norwich City in goal. Despite losing the first game to Norwich City, the team bounced back to beat Watton with Holly scoring a great goal and Marcy going close on several locations. Buoyed by such a great performance, the team went out and drew against Magpies first team and went close to scoring on a few occasions.Dereham (the eventual winners of the tournament)were the next opposition, but despite a great team effort and great tackles by Carmel, Laura and Katie, they proved too strong and Dereham won that game. This left a final game against Pelicans. The game was very even andsome hard work by Holly, Lotte and Issy ensured a nil nil draw. The great team performance meant that Dragons under 12 girls had their best tournament ever, coming 4th out of 6. A brilliant effort and one which the girls should be proud of. The girls improved as the tournament went on, with some good passing, stick skills and tackling. This performance bodes well for future tournaments – the girls are determined to do better! Thanks to all the parents for their support and treats. As a result of the great work by Hazel, Mike B and Butts at the schools in the South Norfolk area, we are the first hockey club to appear on the South Norfolk School Sports Partnership website. Please be aware that Norwich Dragons Hockey Club is fully supportive of the NHUA RespectCampaign and a very clear message about the Campaign was given to all Club Members that attended the Club Day on September 4th. This is be followed up through the season with regular messages to all members, and captains will keep reminding players.As a Club, we have also implemented a voluntary one match ban for any yellow card issued for dissent towards the umpires, this will hopefully help NHUA in their aims to remove these issues from the game. The Norwich Dragons Club Day is to be held onSaturday September 4th 2010 at Hobart High School, Loddon. 1) TIME- Please aim to arive by 11.15am for a prompt11.30am start. The playing sessions on the pitch will run until approx 3pm, after which there will be an opportunity to pop to the Kings Head for a social drink. 2) FORMAT- The day will consist of a number of half hour sessions on the pitch for the Ladies, Men and for our Young Dragons. This is an opportunity for each of you to play some games and for Team Captains to start to look at players and consider their squads for the coming season. Cost – we will be charging £5 per person for the full day, to cover costs of pitch hire – this will be collected by your captain. Young Dragons £2. Please bring a lunch with you to enjoy a picnic and get in the full spirit of the Club Day – why not bring a little extra to share around if possible!! We will be handing out all important Club Membership forms for completion, along with details of when Annual Subscription payments are due and how you can pay – if you are able to bring cheque books on the day, we will be happy to start collecting your Subs. Finally don’t forget to bring you bags of old clothes etc. for our next Bag for the Future collection – Taff will be bringing her Lorry, so lets make sure we fill it up!!! East League fixtures have been updated onto the Teams page. We are still awaiting times but opposition and home/away are completed (please note all are subject to change!). Fixtures for the Norfolk League (Ladies 3s) will be posted soon. Read the recent article featured in the Evening News on the progress of the Hewett School since taking ï¿½Trust Status’ here. 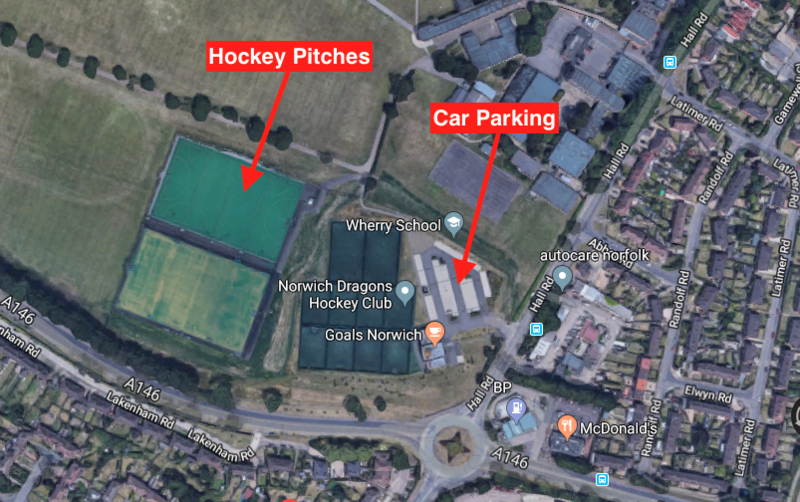 Planning Permission Granted: 01/07/2010Fantastic news for Norwich Dragons Hockey Club as Norwich City Council granted Planning Permission for two hockey pitches at the Hewett School. Read the full Evening News article here. Friendlies will be arranged in the weeks leading up to the start of the season and fixtures will be published as soon as available. Keep you eyes peeled for a piece in the EDP’s Rising Stars, not that Hazel and Mike (recently joined by John Butler) are the Rising Stars, but the children they are coaching could be! Norwich Dragons Hockey Club members Mike Banham and Hazel Medler provided hockey coaching sessions for over 100 Norwich school children last term and aim to continue through the remainder of this school year. Using England Hockey’s ‘Quicksticks’ hockey sets supplied by the Norwich School Sport Partnership, children in Year 5 at Cavell and Lakenham Primary Schools have already benefited from the free sessions, with Bignold Primary being added to the programme this term. The coaches and teachers, as well as the children, enjoy the sessions which provide the youngsters with an opportunity to experience hockey, in many cases, for the first time. After the 8 week programme at the school the children have the option to continue receiving coaching through the Young Dragons sessions at Lionwood School, run by other volunteers from Norwich Dragons Hockey Club. It is also hoped that the experience gained by the teachers will enable them to continue to offer hockey as a sporting option for the youngsters at school. Commenting on the Programme, Mike, President of Norwich Dragons Hockey Club said, “The work that Mike and Hazel are doing is a superb example of the enthusiasm the Club has for growing the Olympic sport of hockey in the Norwich area. With a new Hockey Centre proposed for the Hewett School site later in 2010, we aim to bring hockey to many more members of the community in the lead up to 2012. Through the work with the schools as well as the Young Dragons sessions we hope several youngsters will be inspired to take up the game and perhaps we will find a future Olympian amongst them!”. Further details of the school sessions are available from Hazel Medler at hazelmedler@btinternet.com or for the Young Dragons coaching sessions contact Natalie Beal at nat_beal@hotmail.com or visit the websitewww.norwichdragonshc.co.uk. It is with great pleasure that we can announce on 3rd February 2010, England Hockey confirmed our ClubsFirst accreditation in recognition of the work we are doing to create a safe, effective and child friendly hockey environment. This makes us one of just 6 Clubs in Norfolk and 24 in the East Region that have gained such accreditation and puts us firmly into the spotlight with Sport England and England Hockey. A big thank you to everyone that played their part in making this happen. The Club’s policies, codes of conduct and procedures that support the accreditation can be found on the Club Policies page of the website. One of the key points to remember is that any concerns or issues relating to safeguarding and protecting young people should be referred immediately to Natalie Beal (Club Welfare Officer), Angela Murgatroyd (Deputy Club Welfare Officer) or Hazel Medler (Club Development Officer), all of whom have been trained to deal with such matters. Three teams were entered into a tournament held at Pelis last Sunday. Read all about the fantastic efforts made by each team by clicking on the links below. We have a great opportunity for members to achieve their Level 1 Coaching Award in Norfolk, at Kings Lynn. We may be able to secure some funding to support members wishing to achieve this qualification. Please click here to download more information. It’s that time of year again when we start thinking about tour. For new readers, this will be the 4th year we plan to go to Fun In The Forest….this time as reigning champions!!! A few details are below but if you’re interested, or want to know more, please see Sue at training/matches or email suecullum74@gmail.com. or see the photos from previous tours here. or talk to some of the survivors, including myself, Nat, Izzie, Louise and Heidi, amongst others. Places for teams are on a first come first served basis so we’ll need to get in quick. If you could let Sue know as soon as possible if you’re interested that would be much appreciated. We are pleased to be taking part in a tournament this Sunday at Kings Lynn. A sign of our ever growing youth section is that we are entering 3 teams, girls and boys u11 and a Boys u13. A report will be posted here following the event. Good luck to you all and have fun ! Norwich Dragons Hockey Club Lottery Draw was made on Saturday evening in the Red Lion at Bishopgate, we were lucky enough to have An Officer & A Gentleman international film superstar Richard Gere flown over to make the draw. Richard is pictured here with NDHC. The winning ticket which was in the name of Andy Carey of Aviva, congratulations Andy a cheque for £1,000 will make its way to you soon. Second prize of £300 went to Jodie & Richard and the Third prize of £150 to Ian Acteson. Mike presented a bottle of champagne to Hannah for all her hard work getting the lottery set up and registered with the Gambling Commission and then managing the ticket sale process. A big thank you to those of you that made the effort to sell so many tickets. Following the disappointment of the cancellation of the Rudd Tournament at Greshams, Norwich Dragons arranged a friendly Boys U11 three way ’round robin’ with Norwich City HC on Sunday 6th December. With a Squad of 9, the young Dragons, kitted out in their red shirts and green socks, were full of enthusiasm, despite the initial poor weather and the semi-flooded pitch!! Manager Steve put them through their paces with a thorough warm-up in preparation for their first game against a Norwich City A Team. Despite their inexperience, the young Dragons held their own for long periods of the game. With Josh in goal, pulling off a string of excellent saves, the boys held the scores level for sometime – ultimately Norwich City’s experience counted and they scored 3 quick goals, but the Dragons battled hard. The second game, against a Norwich City B Team, who had played together for some considerable time, saw the Dragons start to find their passing game. Under the guidance of Steve, they started to work together as a Team and were unfortunate not to score with Lee, Sam and Stanley combining well. Defensively Adam, Scott and Connor were tackling strongly and held the more experienced Norwich City Team at bay. With good contributions by Jordan and Ollie the team secured a 0-0 draw. Overall this new team learnt a considerable amount in these two short games, and are already looking forward to their next adventures on the hockey pitch in 2010! An historic day for Norwich Dragons Hockey Club, saw their Under 11’s Girl’s Team take part in their first competitive Tournament at Harleston Magpies Hockey Club on Sunday 22nd November. The mini Dragons, kitted out in their new shirts, took to the field for their first game against Pelicans and were very unlucky to come away with a narrow 1 – 0 defeat. As the tournament progressed, the Dragon’s started to gain in confidence and began passing the ball around well as a Team. Some great defending from Laura, Katie and Alex, plus some excellent stops from Keeper Carmel, saw the Dragons get the first point against Dereham B’s with a Nil – Nil draw. Unfortunately, the last game saw the heavens open and the wind blow (even the National League game on the other pitch was suspended due to the horrendous conditions!!). Despite this the Dragon’s still came off the field smiling :-). Whilst not challenging for the top places, the Dragons did amazingly well to come away with 4 points in their first ever competitive games. A huge thanks to all who took part – Capt. Marcy, Lotte, Izzie, Alex, Katie, Laura and GK Carmel. You did the Dragon’s proud and the future of the Club looks very bright! Firstly she managed to deliver a hugely successful Auction of Promises for Norwich Dragons Hockey Club raising over £4000, and secondly, and probably more importantly, she scored a hat-trick of penalties in front of a delirious crowd in the Barclay End at Carrow Road! Thanks to Laura’s enthusiastic organisation of the event, Norwich Dragons Hockey Club raised a substantial sum at their auction of promises, which took place at Carrow Road on 14th November. Led by charismatic auctioneer and mens first team captain Edward Smith, 49 lots were sold to the highest bidders, with the top item, VIP tickets to the Latitude festival, fetching £320. Among the other items were a flight in a light aircraft, a job lot of manure and the chance to take penalties on the Carrow Road pitch (which clearly Laura won!). Carried away by Mr Smith’s persuasive patter many bidders found themselves digging deep into their pockets, one even having his bidding card confiscated by his wife after several large bids were accepted. Even the famous Norwich Dragons HC mascot ‘Dragon’ bought a ticket for the event and strutted his stuff on the dance floor! Funds were boosted by a further £100 thanks to a ‘Guess How Many Bubblegums’ in a two foot tall Bubblegum machine donated by AGF Marketing. Game organisers Nat Beal and Sue Cullum had to remove a number of bubblegum balls to make the guessing difficult. Or e-mail your bid to dragonshockeyclub@yahoo.co.uk incluing your Name, Address, Contact Number, Lot number, description and bid price. Just make sure you bid more than everybody else and you’ll be successful !! Please bring along either Cash / Cheques* to pay for successful Auction ‘Lots’ (*payable to NDHC). For non Club Members, please ensure we have a cheque guarantee card. Timings of events, dress code, location etc. This is a black tie dinner so your best frocks / Suits / DJ’s etc will do the trick!! Event will be held at Norwich City Football Club, Top of the Terrace Suite, Carrow Road. 8pm – Doors Open (no earlier due to football match). Time to get to the bar and get your drinks ordered. Close 1am – Wend our weary way home….or go clubbing!! Thanks to the generosity of the donors, all monies taken for the Auction lots will go directly to the new pitch fund. If you are interested in the programme of Junior Development Centres (JDCs) taking place during November and December for under 13 to under 17 age groups, please see the Active Norfolk website for details. Norwich Dragons Hockey Club are hosting the Loddon JDC (u13 & u14 Girls & Boys) in November and December and have worked hard to make this happen because we see ourselves as being a key part of this process in the future. Our involvement will also help the Consortium’s bid for funding for the new pitch from England Hockey. For those interested in understanding what the JDCs are intended to do, please read the quick guide below. If you have children with some competitive experience either at schools or clubs and you want to register them for a JDC, please refer to the Active Norfolk website. A big thank you to the coaches that have made our hosting of the Loddon JDC possible! Click here for a quick guide to JDCs. Congratulations to Dereham who won the Men’s Indoor Tournament held at Town Close School on October 25th. Dereham were undefeated until their last game and won the tournament with Norwich City coming 2nd. 3 course Sunday lunch at the Ramada Hotel. ….plus many many more and a full list will appear here soon. A huge thank you to all those who have donated items for your generosity and support. Tickets are priced at £35 each for this black tie event, which includes a 3 course dinner and disco, to be held at Carrow Road on November 14th, 8pm til 1am, so please do support your club and come along. It’s open to all so please tell your friends, family, neighbours and work colleagues. We are not restricted by numbers so the more the merrier. Congratulations to the Ladies Dragons team who won the inaugural Indoor Tournament last Sunday, October 4th. The men’s tournament is to be held on October 25th so let’s hope they can match that achievement and bring home the trophy! QUIZ – Saturday 17th October 2009. A huge thank you to everyone who supported and attended the quiz. It was a very successful night, thoroughly enjoyed by all. Special thanks go to Chris Miller for being quiz master and the William IV pub for allowing us to take over their pub for the evening. Together we managed to raise over £200 towards our target and we hope to hold another quiz before the end of the season! As part of our fundraising efforts this year we have arranged an Auction of Promises on the 14 November 2009 in the Top of the Terrace suite at Carrow Road. It will be your chance to get dressed up, have a great meal, bid for some very special items, and then dance into the early hours. We are privileged to have local celebrity Auctioneer & Valuer Ed Smith (also Men’s 1st Team Capt) as our auctioneer for the night. Whilst the finer details are being prepared at the moment, right now we need your help collecting items, promises or identifying an individual, company or organisation that you think could come up with something unusual or valuable that would be likely to attract alot of interest. Please could you email laura.hammond@nhs.net with any offers of help. Norwich Dragon’s Indoor Hockey Tournament is to be held at Town Close School Indoor Sports Hall in Norwich on Sunday, 4th October for Ladies and Sunday, 25th October 2009 for Men. Both tournaments will take place between 14.00-19.00 and it will cost £40 per team to enter. The games are 6 a side with 8 in a squad. Normal Indoor Rules will apply to this tournament. Teams will be required to provide an umpire, but they will not have to umpire their own team’s matches therefore enabling players to double up as umpires if need be. Each team will be guaranteed at least 3 games and trophies will be provided for the winning team and runners up. Please contact Becs Dungay by the 18th September 2009 on 07887 893365 or mail@rdsports.co.uk for an entry form if you would like to attend. A quick update on club kit as we have now sorted out the rain jackets and some club branded baselayers. Becs also has some more Hooded Tops coming in at the end of June. The shirts, hooded tops, jacket and baselayers wont have the 10% off as they are at a reduced rate already. Hooded Tops £21.50 (plus £2 if you would like your initials on it). These also come in Junior sizes. Samples are available for people to try on in the hooded tops, jackets, shirts and baselayers. If you would like to order any of the above please contact Becs via rdsports@talktalk.net or on 07887 893365. The tournament against UEA was held on June 7th, in the pouring rain, but it was a success nonetheless. With 2 wins each and a draw it was decided on flicks. UEA won, got the expensive bubbly and will keep the trophy for a year. We are aiming for this will be an annual event. Thanks to Nat and the captains for organising and for everyone for turning up despite the weather . Just a quick note to let you all know about the tour some of the ladies went over the May bank holiday weekend. It was the 3rd time we had been to Fun in the Forest tour, in Chigwell, held at and run by Old Loughts Hockey Club. The last two year’s hockey had been quite a good standard so we only went to try and win the fancy dress. In the previous 2 year’s fancy dress competitions, we had come 2nd. We therefore called ourselves ‘Third Time Lucky’ and huge effort went into making our Chinese Dragon. We came second in the fancy dress again but got a huge cheer when we entered the bar and then marquee… but…we won the hockey and got a lifetime achievement award for our efforts with the fancy dress! We had been expecting rain but there wasn’t a drop the entire weekend and the weather was perfect. We managed to raise £353 on the raffle on Saturday night! Well done and thanks to everyone who bought tickets. Just a quick note to all those that have ordered a hooded top or playing shirt. They are with Becs in her shop ‘RD SPORTS’ in Norwich. If you didn’t order a hooded top or shirt and would like one then there are a few spare. She is also going to place an order for some new skorts that are the same green as the playing shirts, if anyone is interested they are £18.